For a while now, I have been noticing more designers adopting the cold shoulder trend in their designs. 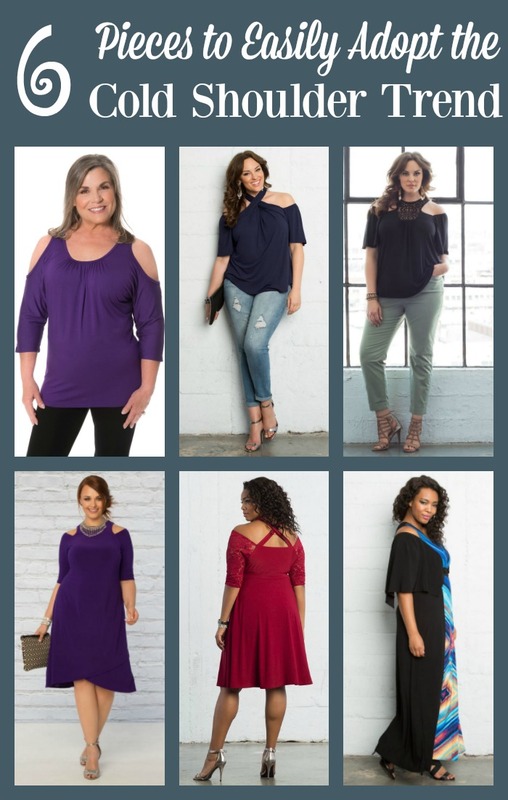 Whether it is a top or dress, there are plenty of options out there. The trend began picking up steam this past spring and does not seem to be coming to an end anytime soon. As a woman who is entering that cycle of life known as “the change”, I am all for outfits that let me cool off quickly. A little exposure of my shoulders is one way to do it. And, if I’ve been good at doing my exercise, I feel like they are a good feature to show. 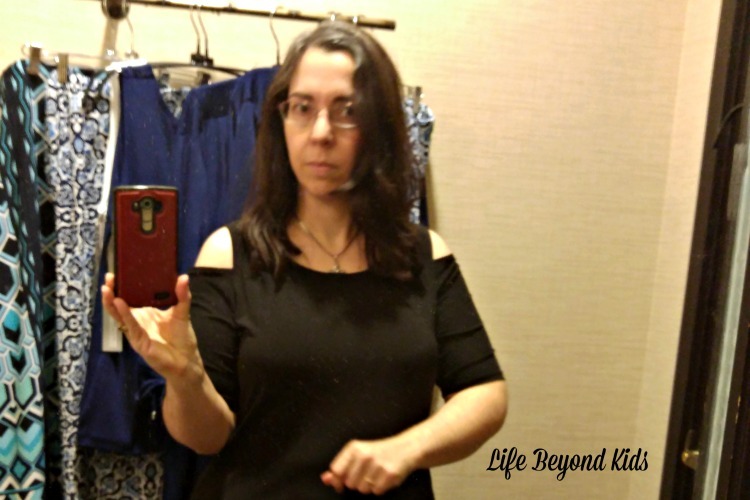 Now, do not confuse a cold shoulder outfit with an off the shoulder one. A cold shoulder will still have straps that offer support to the outfit. Depending upon the top or dress, you may still need to have a good strapless bra. Sorry, but the ‘show your bra straps’ look is not hot. This is definitely an easy way to integrate the cold shoulder trend in fashion without much fuss. Depending upon the top you pick, you can quickly pair it with a skirt, shorts, or pants. The Cali Crochet Top from Kiyonna embraces the cold shoulder trend with Bohemian flair. Both breezy and beautiful, this lightweight blouse features a stunning crochet detail at the neck and adjustable flutter sleeves that can be worn on or off the shoulder. Color options include black and white. Dress it up or dress it down! Florence Flair Halter Top is available in either a vibrant magenta or more subdued navy. Instead of 2 straps sitting vertically on your shoulders, this top has straps that cross in front and back to create a dramatic, high-neck look, complete with pleat details for added flair. The flutter sleeves can be worn down, or pulled up to expose less of your shoulder. A relaxed-fit hemline flatters all shapes. If you like to get dressed up, then a dress could be the quickest way to embrace the cold shoulder trend. Racy Faux Wrap Dress (Kiyonna) comes in classic black, stunning ruby and a regal violet color. While you are showing a glimpse of your shoulders, the dress provides a high neckline. The sleeves can be moved up for a more modest outfit, too. This dress is perfect for a night on the town, whether it is a girl’s night out or date night. The Luring Lace Dress is an A-line, knee-length dress with adjustable 3/4 lace sleeves that can be worn on or off the shoulder. You can personalize your style any way you choose when you wear the straps crossed in the front or back. Available in both black and ruby, this dress can help you feel like a star whether attending a daytime event or night out. Comfort and color are both present in the Serene Maxi Dress. With a little Bohemian flair, this cold shoulder dress has a V-neckline with adjustable, off the shoulder flutter sleeves to give you a flowy, feminine feel. Its classic wrap styling adds allure with a ruched waistband leading to a body-skimming, floor-length fit. Have you added the cold shoulder trend to your wardrobe? Which of the featured pieces would you pick? There are so many beautiful options! I have been really hesitant because everything I have seen out there is short! 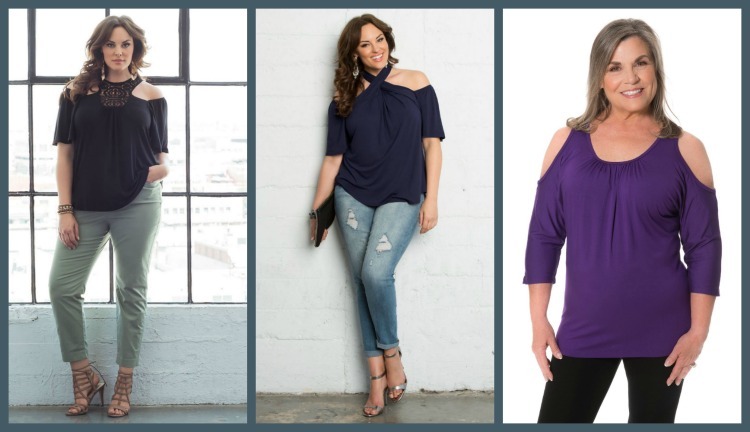 I love the tops- I am going to look for a beautiful one to show off my shoulders on date night!